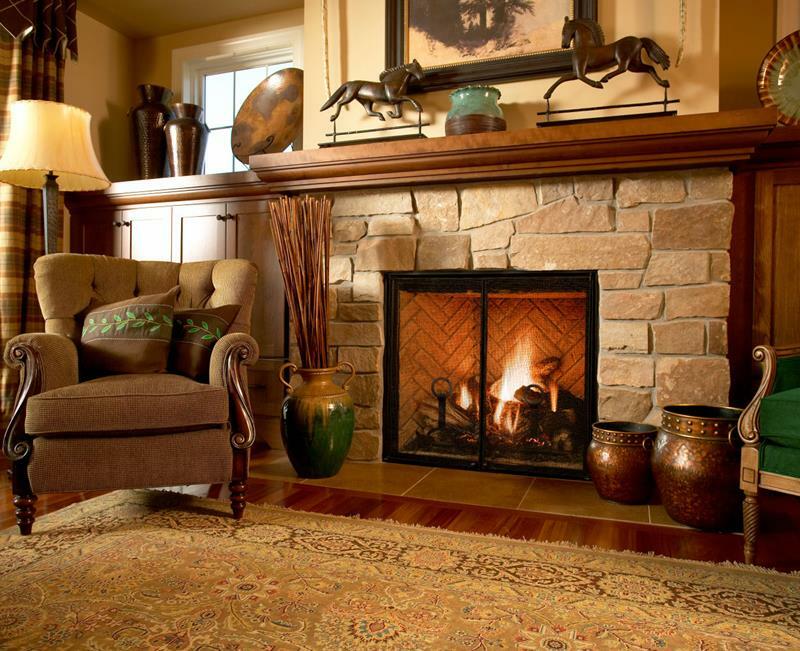 When people our out searching for a new home, or when they’re designing one from scratch, there’s one thing that’s almost always on the top of the living room wish list: the fireplace. There’s no other thing that you can include in your living room that’s going to create that feeling of being at home like a roaring fire on a cold night. 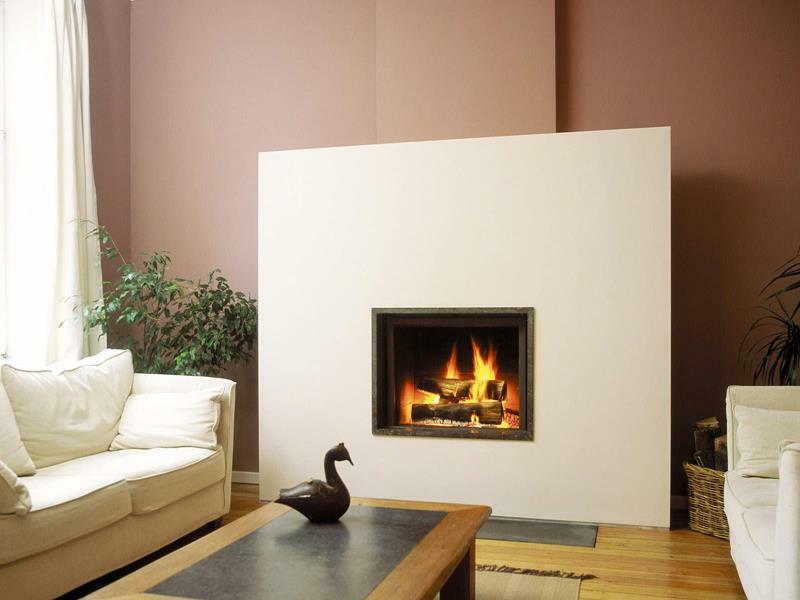 Even in the warmer climates where fireplaces are seldom used, they can suggest a certain level of comfort that becomes positively infectious across the entire space. 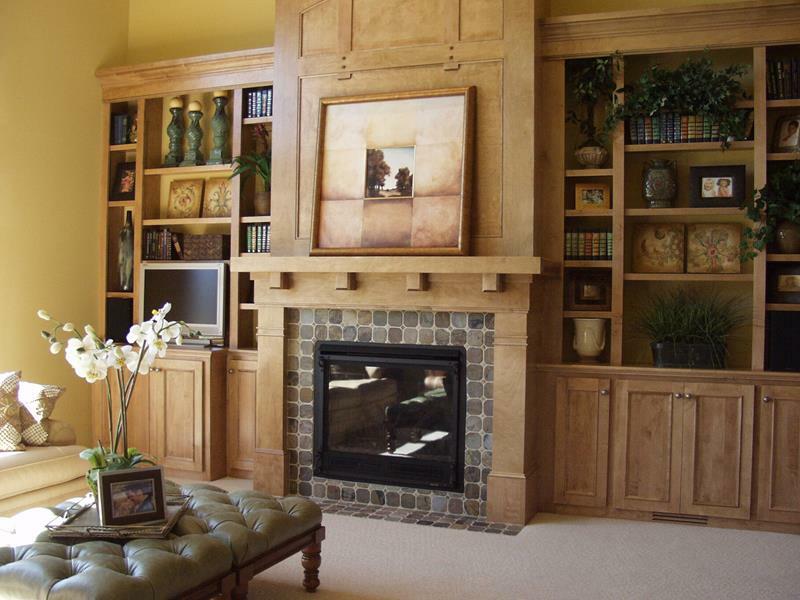 When you include a fireplace in your living room design, though, you’re going to need to think of the ways in which you’ll incorporate it into the space. Will you arrange your furniture to make it the focal point of the room? Should you put the flat-screen television on the mantel? And what about built-in shelves on either side? The point is that there’s an awful lot to think about. You can’t just plunk down a fireplace into any living room without any context. So, come take a look at these 23 amazing example of living rooms that have incorporate a fireplace as part of their design. You’ll see just how it can be done, and you’ll likely find plenty of inspiration for a living room design of your own! The fireplace will always be the center of attention in a living room design, so make sure you accentuate it with attractive décor items. 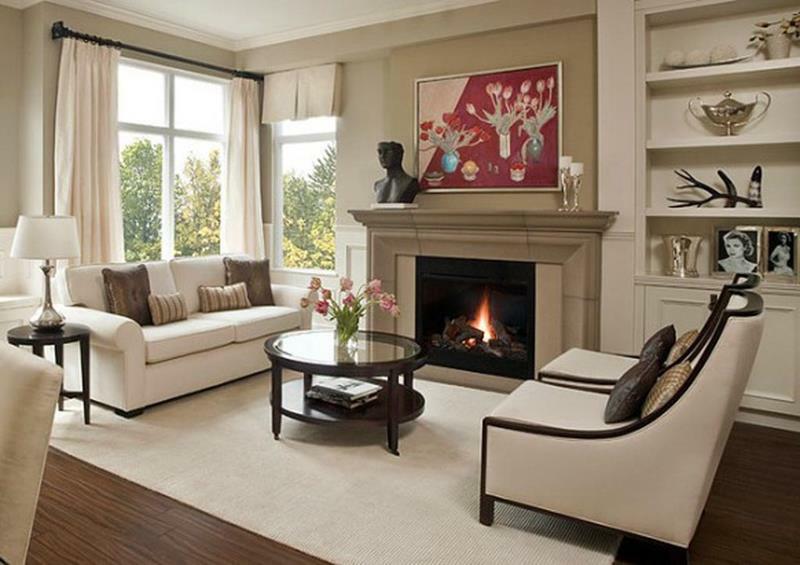 Those who are fans of contemporary design will love the monolithic look of this living room’s fireplace. The mission styling of this fireplace is truly exceptional, and it really adds an inviting vibe to the living room beyond.